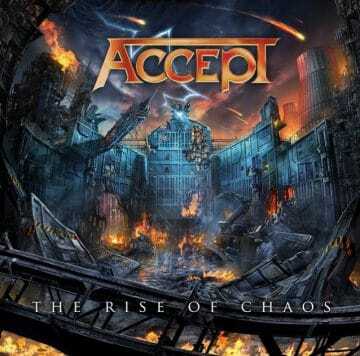 Accept featuring guitarist Wolf Hoffmann, bassist Peter Baltes and lead vocalist Mark Tornillo have released a video for the title track of their new upcoming studio album The Rise Of Chaos, which will be released via Nuclear Blast on August 4, 2017. Taken from the album ‘THE RISE OF CHAOS’! Get it: http://nblast.de/AcceptRiseOfChaos Subscribe to Nuclear Blast: http://bit.ly/subs-nb-yt / Subscribe to Accept: http://bit.ly/subs-acept-yt ‘THE RISE OF CHAOS’ will be out on August 4th via Nuclear Blast Records.